We are an indigenous, Bible-centered ministry born and operated in the heart of India. Millions across South Asia still need to hear the Good News about Jesus, and millions more need practical blessings like education, medical care, and economic opportunity. All of our ministries are built to be self-supporting in the long view. More than 95,000 village churches have been planted by IGL in the past 25 years, and from these, hope is shining out to a world darkened by desperate poverty and ancient idolatry. From a small mission in South India, IGL has grown to become an international mission; sharing the gospel, serving with compassionate care and seeing God at work. 1. Evangelism & Church Planting. Learn how you can share Jesus with unreached villages. 2. Children’s Ministries. Learn how you can love children in need. 3. Medical Outreach. Learn how you can care for the sick. 4. Rural & Economic Development. Learn how you can serve the poorest of the poor. We take our mission seriously, and as such, we set measurable goals in each of these categories. While all of our leadership comes from India, we do have a North American organization that helps facilitate partnerships and vision-casting. This group, “India Gospel League, North America” exists to serve, fund, and pray for our leaders in the field. If you choose to partner with India Gospel League, your contributions, travel arrangements or sponsorships will be facilitated through our U.S. office in Hudson, Ohio. India Gospel League, North America is a 501(c)(3) organization, governed by an independent board consisting of pastors and others who believe in this work. All contributions are tax-deductible. 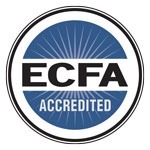 IGL is a member of the Evangelical Council for Financial Accountability (ECFA).